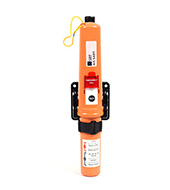 Mission critical search and rescue transponders including SOLAS certified AIS SART. OEM solutions available. AIS SART – international SOLAS Wheelmark certified. Global support and warranty network.